1970 - 1981 Camaro Trans Am Hood Bumper Adjuster Set! 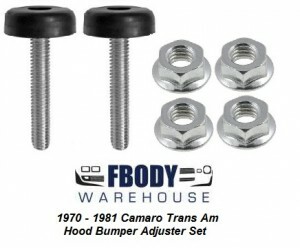 This is a set of hood bumper adjusters for 1970 - 1981 Camaro and Trans Am! 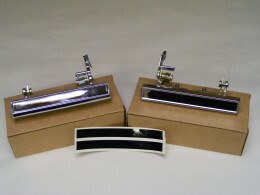 These are the adjustment bumpers that mount to the cowl and to the front core support. These include the 4 mounting nuts as well. They are sold in sets, two per set.